With yesterday marking the start of Coachella we couldn't help but visit the Marchesa Spring 2015 Collection for some free-spirited, festival worthy wedding gown inspiration. 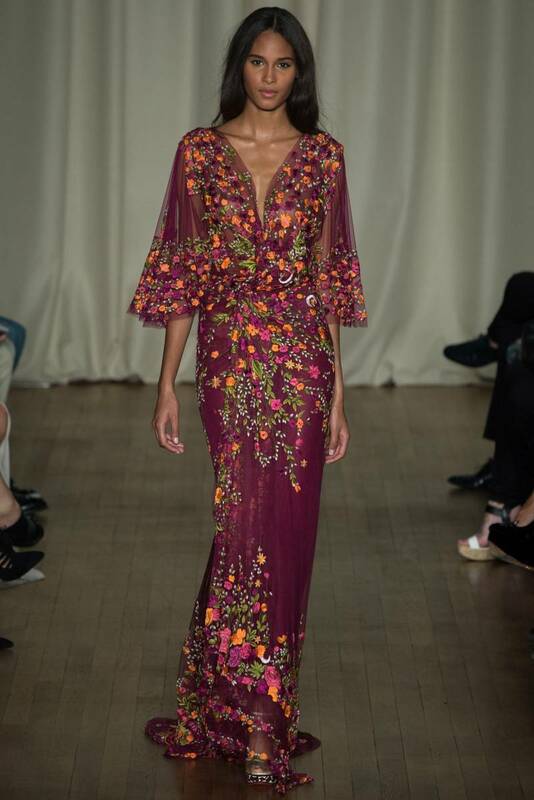 The Spring 2015 collection from Marchesa marked the 10th anniversary of the label and the designers offered an incredible collection of luxe-boho and rock-n-roll gowns. Although it is not technically a bridal line we couldn't help but see some incredible free-spirited, luxe-boho gowns that would work perfectly for free-spirited bride or a fabulous music-festival bachelorette party. Take a peek at our favourite and most boho wedding-worthy looks.